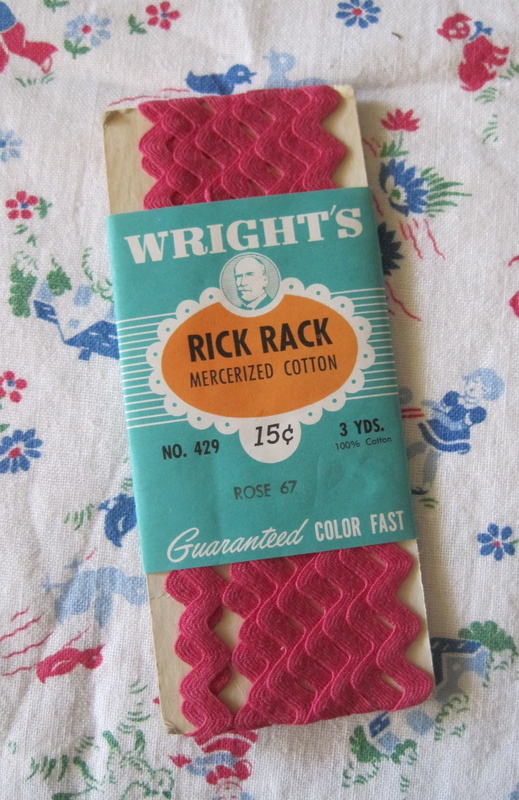 I found a packet of Vintage Rick Rack today. Kennedy insisted that is was dark pink and not just pink, which is true, but sometimes a mommy just needs to insist on something “wrong” just to see what would happen. I know it’s wrong, but I just had too. After about 20 minutes of her saying “It’s NOT pink, IT’S DARK PINK!” I gave in and said “Okay you win, it is dark pink,” her reply “I know mommy, I’m always right.” Shocking statement from a three-year old, oh boy are we in trouble! This packet of DARK pink rick rack needed to be turned into something cute and I know I have seen everywhere (well probably on Pinterest) flowers made out of rick rack. 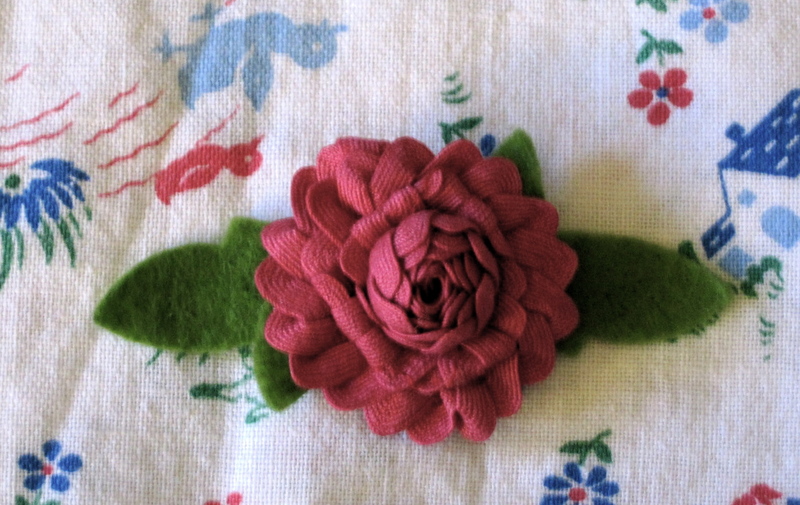 A few minutes of twisting and stitching and I have a super cute flower hair clip.